We planted our happiness way back in the early 2000’s and started listening to trees. Both, the trees, and us were in our formative stages. We’d moved into this new space and wanted to make it our own and one of them was a 2 feet tall Silver Oak right near our entrance on the south east side of the lot. The silver oak grew more than 45 feet tall, and as it grew, it became the essence of our workspace. We’d sit underneath its shade for impromptu meetings and chats over coffee. All our photos featured this tree, just like it was a part of our family. It was tall, majestic and every now and then dropped a few leaves, lending an autumn character to our staircase. At some point last year, our silver oak became sick. It was taken over by a disease and had started showing signs of giving up. We tried a lot of remedies, but nothing seemed to work. Once it ran dry, we decided to pull the tree down ourselves, before it fell and accidentally hurt someone. We kept a portion of the trunk intact at the bottom, as a way of preserving its presence. It was never the same. Our space felt hollow without the Silver Oak’s charming aura. We were itching to pay homage to the tree that had given all of us so many memories. 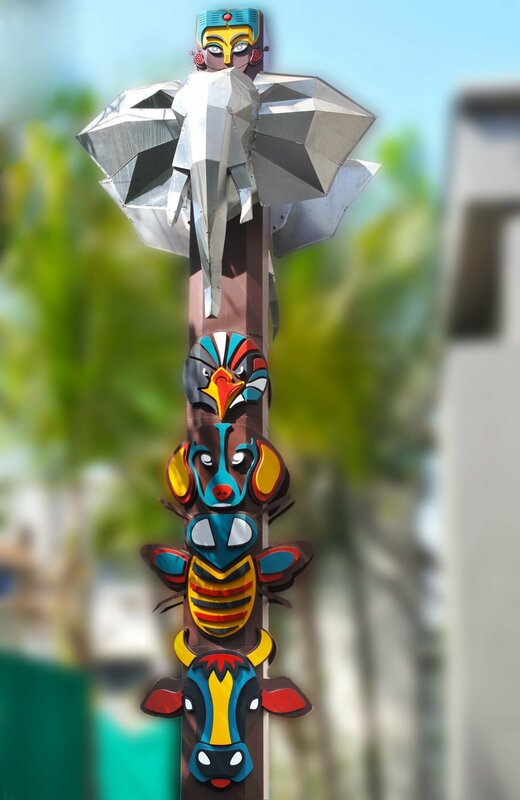 After much thought, our Design team came up with the concept of a Totem Pole installation. Traditionally, totem poles are a significant part of Native American culture. They’re carved out of large trees and serve many purposes beyond their beauty. Some of them represent stories or important event or pay respect to the departed. With these poles, each figure represents a part of the story. These are not worshipped, or even considered to be God. Instead, they represent traits or characteristics of the tribe or story. We decided to adapt this concept to honour our fallen tree, and thus was born the Tree-tem pole. This Tree-tem pole would celebrate the memories of our tree, and overlay with values shaping us for the future. At Elephant, we pride ourselves on a strong set of values which we abide by in our lives and work. Each figure engraved on our Tree-tem pole would embody a value that we stand by today. The face of a human being at the top depicts Empathy, something we strive to incorporate into all of our actions. The bee represents Expertise, as we endeavour to offer the same level of proficiency as she does while constructing honeycombs. An Eagle personifies its exploratory nature, and Honesty mirrors the kind face of a dog. We chose a cow to depict Value Addition, considering how selflessly she gives to our mankind. 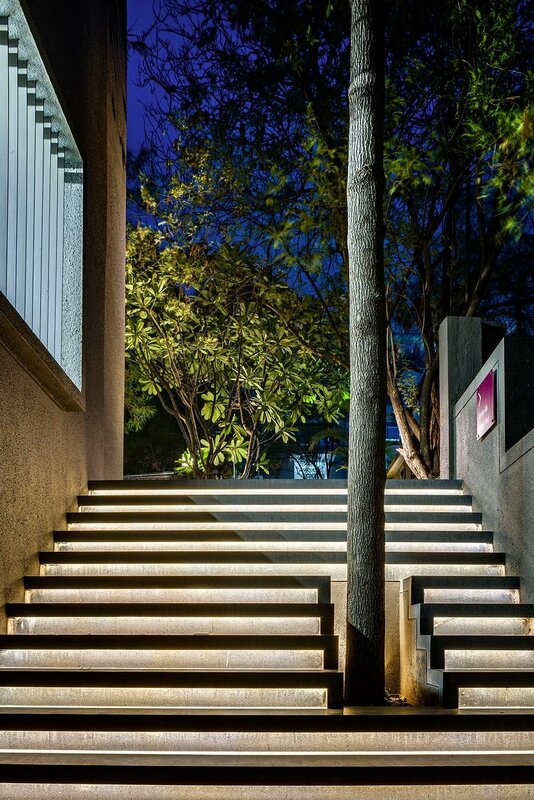 The Tree-tem pole is interfaced near the top by a large Elephant head, crafted with a sheet of aluminium, embodying the spirit of Design at Elephant. Life sprouts on to this inanimate structure through creepers planted at the base of the pole, which now have started winding their way upward. The old Silver Oak trunk stays visible through the mesh at the base allowing each one of us to get a glimpse of the original tree. Elephant had three Interesting outings this October! Anand Palsodkar delivered a talk on Design with Empathy for Patients at the TiE Pune Healthcare Summit that took place on 27 October 2018. TiE is world’s largest network of entrepreneurs that works towards fostering growth. The purpose of this Summit is to bring together like minded experts to promote thought leadership and exchange of ideas and to position Pune as the Healthcare hot-spot. Organised by Pune Chapter of TiE, this annual Healthcare Summit was well attended by healthcare eco-system including Industry bodies, Incubators, Government and Public Policy experts as well as Investors. Anand Palsodkar is Design Director at Elephant and heads Product Innovation vertical. Mayuri Nikumbh shared her experiences as a Woman in Creative Profession at the Ladies Wine & Design Pune kick-off event on 27 October 2018 organised by a group of young designers & design students. LW&D is an initiative started by designer Jessica Walsh to empower creative ladies around the world after she realised that only a small percent of creative directors are women, and she would like to help change this through mentorship circles, portfolio reviews & talks. Mayuri Nikumbh is Design Director at Elephant and heads Product Innovation vertical. Ashish Deshpande participated in a panel discussion on Leading Design at the DesignUp conference that took place in Bangalore on 25-27 October 2018. This annual conference is focussed on Design-intech & Design-for-tech. The panel also included Jurgen Spangi (Atlassian), Anjali Desai (Intuit), Amy Huang (RedMart) and Daniel Burka (Google Ventures). Discussions revolved around Ux, Product Innovation, Emergent Tech & more. DesignUp started in 2016 with the idea of raising the design agenda within tech companies and tech-led businesses. Ashish Deshpande is Co-founder, Director at Elephant and leads Product Design & Retail Experience verticals. 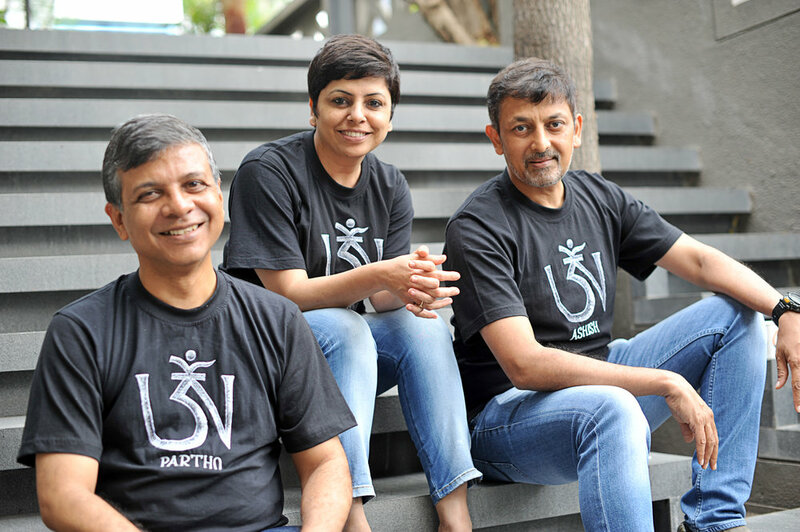 2019 would mark the 30th birthday of Pune based Elephant which laid its foundation in 1989 with three NID (National Institute of Design) graduates as its co-founders– Ashwini Deshpande, Ashish Deshpande and Partho Guha. Elephant has had a truly phenomenal journey, marked by its work for some of the biggest brands in the country, various awards, and presence in some of the biggest forums about design across the world. For this month’s Design Dialogue, we have a conversation with Ashwini Deshpande about Elephant’s trajectory so far, some of their key projects including their recent branding and packaging work for Kurkure and Witlinger, their experience of working with start-ups, the benefits of having interns from different countries, and their Singapore operation. Elephant has been in the Indian design landscape for three decades now. What are some of the most crucial changes you have seen over the years? It has been a long and exciting journey, every step of the way. We started Elephant with a dream to create the ‘big picture’ of design in India. When we started out in 1989, the Indian creative industry was limited to advertising agencies. The most challenging task was to demonstrate a genuine professional design practice that helps businesses grow. There was no organised, scalable, and professionally managed design consulting at that point. There were just two design schools (NID Ahmedabad and IIT-IDC Mumbai). The fact that ‘design’ and ‘design thinking’ could add value to a bottom-line was not experienced by any business house. I believe there are over 75 established design schools in India now and the number is growing as we speak. 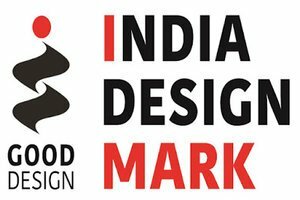 Every global media network has brought their design consulting arm to India; some of them have been around for over ten years now. Every communication agency has an in-house design team, all IT giants have large in-house design teams, and many conglomerates have design teams as part of their R&D set ups. There are hundreds of boutique design agencies mushrooming all around. However, even after 29 years since the start of Elephant, there are only a handful of design practices with any scale. So despite all our consistent efforts to demonstrate the value of design intervention for business growth, design is yet to become a mandatory, nation-wide phenomenon. I remember the fascinating lessons in blocks, typesetting and letterpress printing at NID in the 80s. A lot of the stationery used to be screen printed in the early days. Even short run brochures or exhibition panels used to be screen printed. Then came the large format digital printing in the mid-90s. From the time of cut and paste artworks to limited editions to personalised print-runs, one has seen a complete transformation of the print business. With digital distribution replacing a lot of print communication, we are in an interesting era of creating multi-sensorial, multi-media experiences. As the studio finishes its 30th year next year, what has been the biggest achievement of Elephant so far according to you? I think our consistent efforts to establish the business of design in India for a sustained period is an achievement in itself. 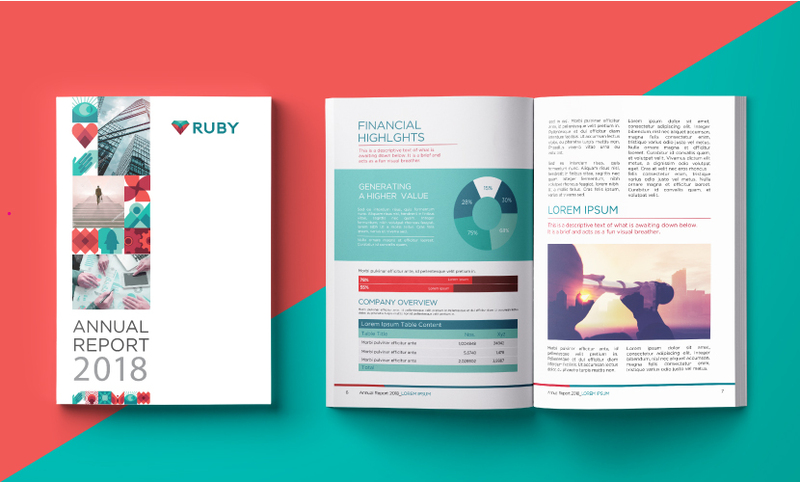 The large economic changes, liberalisation, recessions, presence of global agencies, mushrooming of boutique agencies, and rapid changes in technology and media – we have made the most of all these and have managed to create a positive impact through design in almost every business domain we have worked in. How do you choose brands/projects to work for? Are there any particular criteria you follow? We have a very simple method. Earning, learning and excitement form the three most important principles for selection. When we get a project or an engagement query, there must be a resounding nod against at least two of the three principles. Because we are a ‘learning’ organisation and we believe feeling excited about solving a certain problem directly reflects on the creative quotient of the solution. 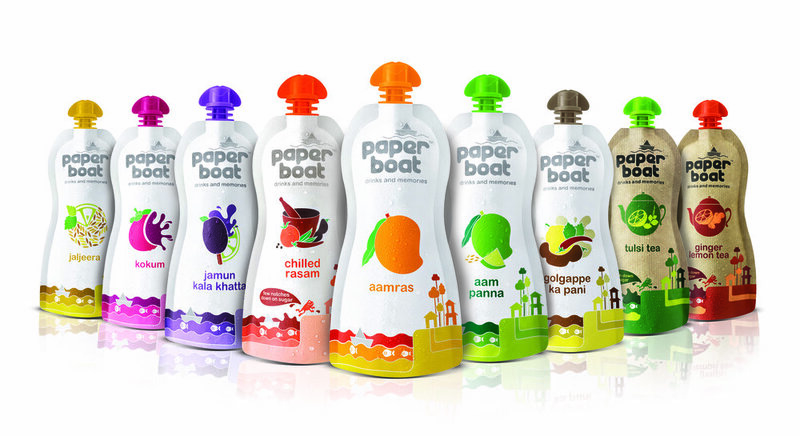 Packaging design has always been a very strong part of Elephant's portfolio. This year too, you did some interesting packaging design revamp for Witlinger beer and Kurkure. Tell us a bit about both these projects. To rebrand a craft beer was like a dream project for the creative team. 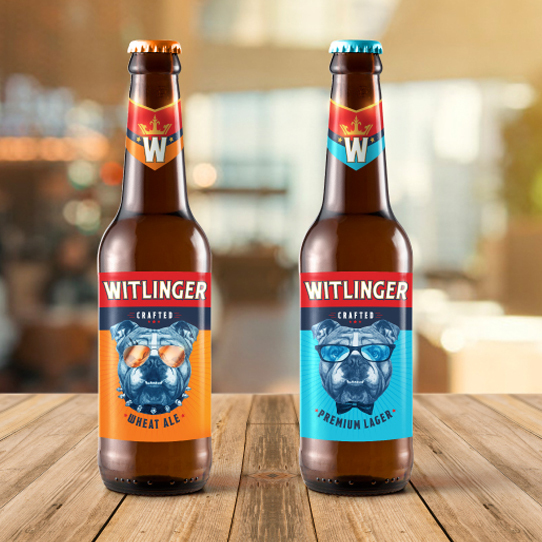 While many craft beers try to keep their origins ambiguous, Witlinger wanted to convey its British origin unabashedly. We decided to leave the clichéd British iconography of the Tower Bridge or Big Ben and found a true hero in the British bulldog. To highlight the distinct personality of each crafted brew, we decided to bring various facets of the Bulldog's persona to life. 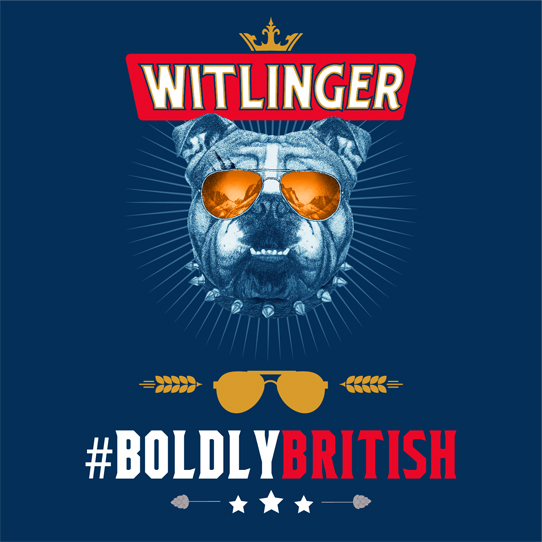 The new design with British bulldog as a mascot characterises Witlinger's true British origin and conveys a message of being bold - with a lot of attitude and honest fun. Kurkure team handed us three significant tasks through the packaging revamp exercise. The first one was to enhance brand leadership, relevance and distinctiveness. The second was to build an architecture that can create a strong differentiation for categories. The last one was to help consumers navigate the shelf and pick the right snack of their choice. When you are working on one of India’s most loved brands, you have to listen to the fan base and understand the degree of shift possible. You also have to understand the nuances involved in designing for a very large print run at multiple locations with varying infrastructures. 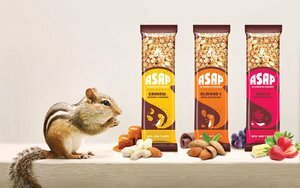 The concept was built around focusing on the ingredients to enhance the taste appeal with a larger than life shape of the product, providing the backdrop for a play between products and ingredients. Every variant is called out in custom designed typography that also makes it own-able. 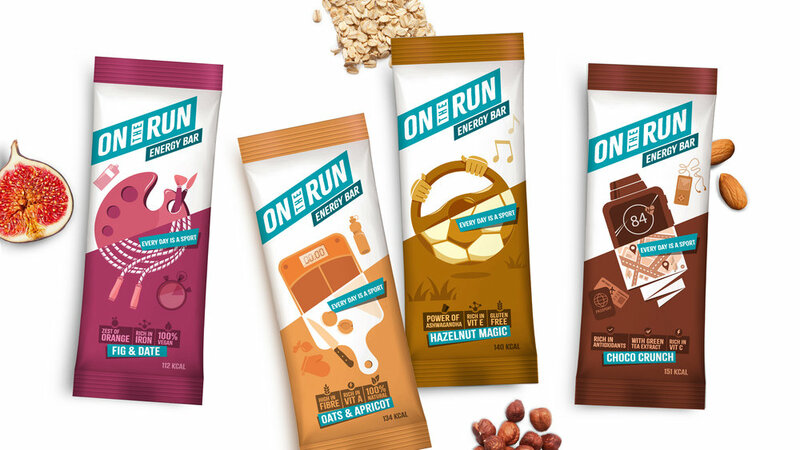 The back of the packs are brought to life with custom drawn illustrations about turning mundane encounters into fun moments by sharing the snack. Such large impact exercises become more interesting as we get to interact and learn from global brand custodians. Could you tell us a bit about your Singapore operations? What kind of brands do you work with there? 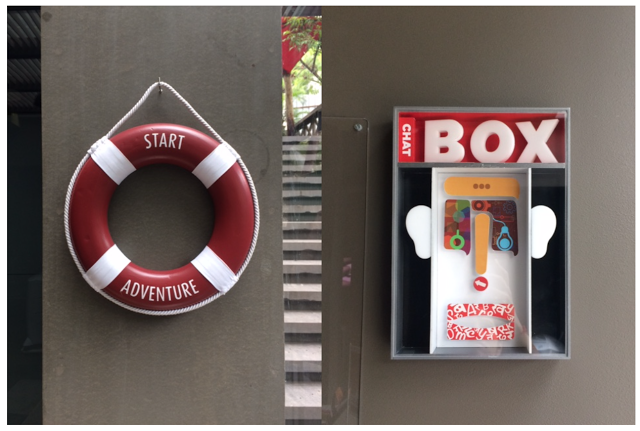 Our business model in Singapore is very different. In India, we have a mix of design research, brand and design consulting, product design and innovation consulting. In Singapore, however, we mostly take up consulting projects around insights farming leading to innovation strategy. Many of them don’t require pure design input. And the ones that do culminate into design projects are handled at our Pune studios. You were recently announced as a jury member of the Young Guns 16 competition. What are you most looking forward to while judging? Also, in general, what are some of the key qualities you look for in the work of young designers/interns who approach Elephant for mentorship? I am always curious to know what young designers are thinking or doing. While judging any work, I am more focused on the idea. Is it outstanding, aligned to brief, original, and feasible? Once I am satisfied with these, I look for the degree of detailing and the quality of execution. While looking at portfolios of young designers, I like to find passion bordering on obsession to convey the idea in its most powerful form. If I find someone with extraordinary skills, I may get impressed, but I rarely hire anyone for just their skill. Elephant has interns from different countries. In what specific ways, is that beneficial? Yes. We have had interns from France, The Netherlands, USA, Singapore, Mexico, Turkey, and of course every Indian state. The interns bring immense positive energy and manage to enliven the entire team. They also bring a taste of their culture, their educational ethos, and a sense of exploration. In turn, we believe that Elephant is like an institution that changes the way they think about the profession and creativity. Going forward, we offer full-time positions to some of our brightest interns once they complete their education as there is a familiarity that reduces their adjustment time. Elephant also works with a lot of startups. How is the experience different from working with established brands? Personally, which one do you enjoy more? The Indian start-up landscape is very vibrant at the moment. And the founders who understand ‘design’ as a crucial differentiating factor tend to approach design consultants at an early stage. 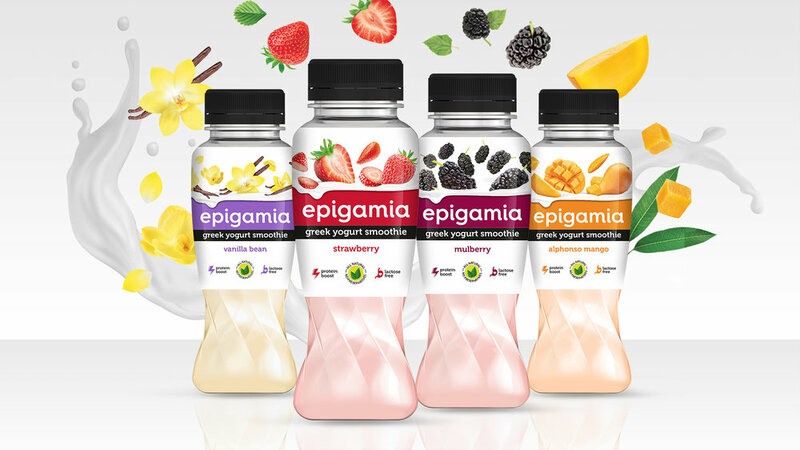 We have worked with quite a few start-ups in the past four to five years, including Paper boat beverages, Fingerlix ready-to-eat foods, Too Yumm snacks, Epigamia Greek Yogurt, ASAP Bars, Witlinger Beer, Plezmo intelligent play-blocks, SynPhNe stroke recovery system, and Healthcube Diagnostics. Start-ups are nimble, so they take quick decisions and are not worried about failing and starting again. On the other hand, established businesses tend to think in a linear but robust way; they take fewer risks and have long launch cycles. Both are rewarding learning experiences in their own way and we tend to transfer our knowledge to both sides as well. Rebranding a business with hundred years of legacy! 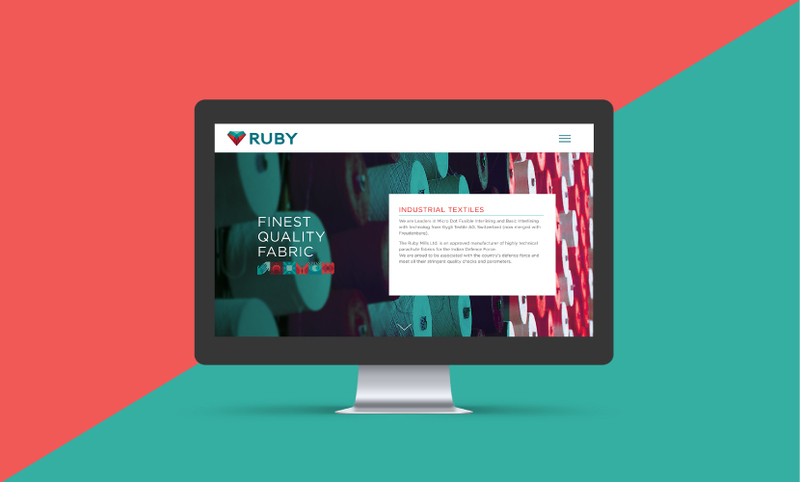 Incorporated in the year 1917 as a composite textile mill, Ruby Mills wanted to enter the next century with clear brand positioning, well defined values and a refreshed visual identity. 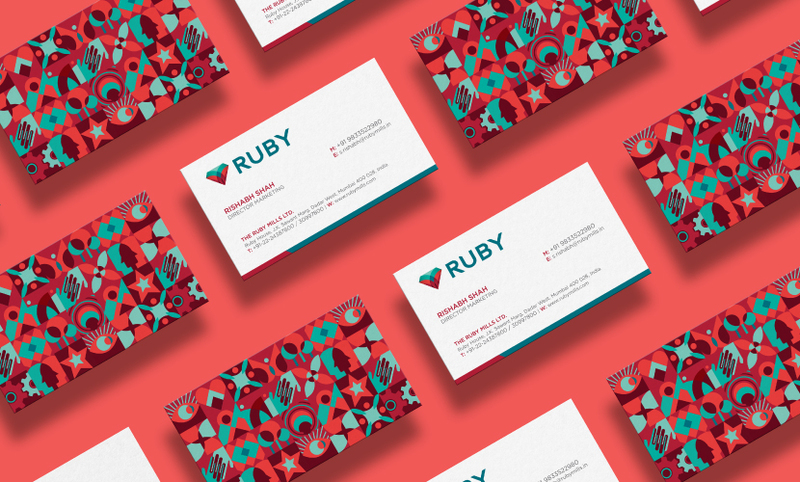 Ruby Mills teamed with Elephant to showcase its transformation with a new brand identity system. Rebranding a legacy that has been a significant part of India’s journey from fighting for #Swadeshi to proudly #MakeInIndia for over a century was a huge responsibility. We were tasked with realigning the brand for today’s progressive aspirations while keeping the heritage & dignity intact. We drew inspiration from the brand’s core values of innovation, sustainability, ethical and responsible manufacturing and excellence in quality to build an ownable palette of visual expressions for various online & offline communication needs. We designed a dynamic and vibrant brand-mark that was rooted in heritage yet had a very ownable & contemporary flair. The red heart in the logo stands for passion, one of the brand’s core principles. 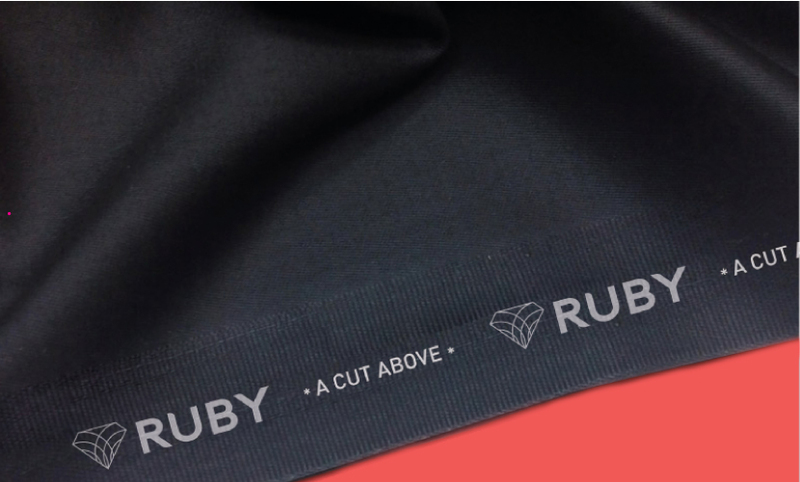 As per our advice, the brandmark retains only the name ‘Ruby’ while doing away with the full form “The Ruby Mills Ltd” that was present in the earlier visual identity. New brand-mark and visual language were recently launched at a trade event. 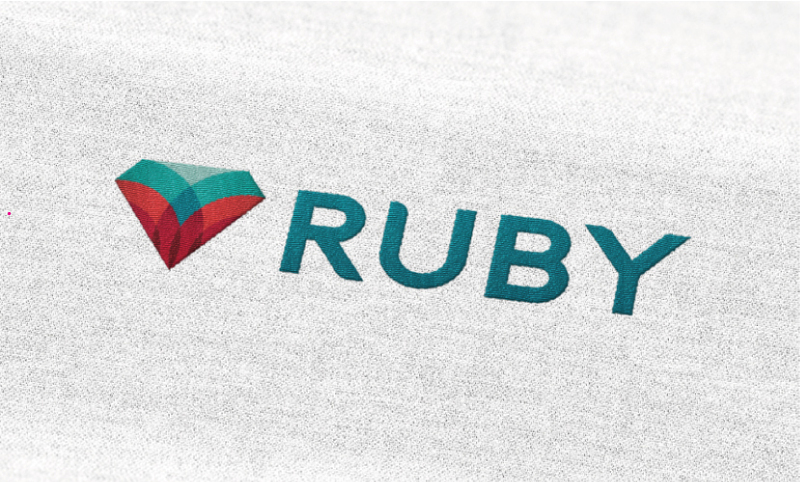 Ruby team is in the process of implementing the newly designed language throughout their portfolio and intends to complete the transformation in 2018. 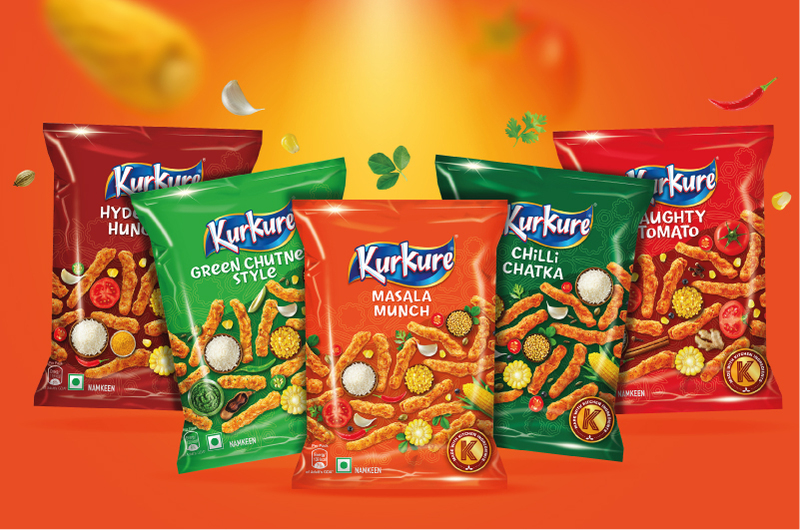 Kurkure has a vast portfolio of multiple categories, flavours & sizes with varying preferences of tastes & shapes across the country. 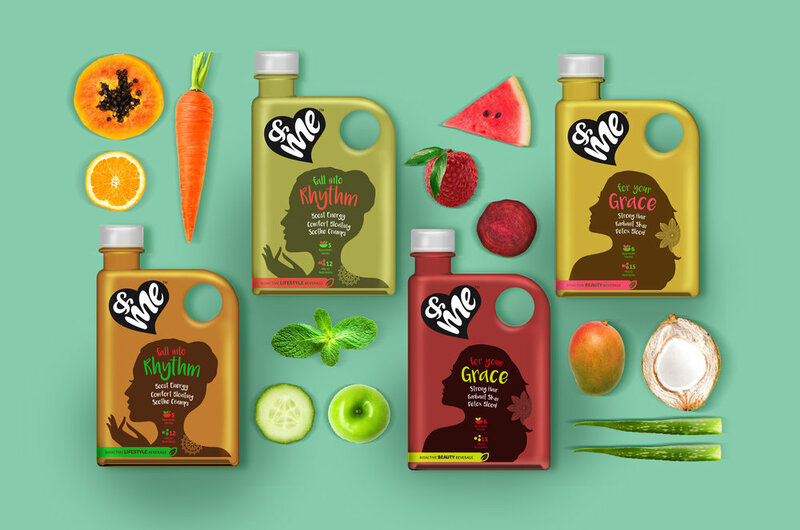 As some of the innovations in shapes & flavours had happened organically, this hugely popular brand needed a cohesive brand architecture and visual language. 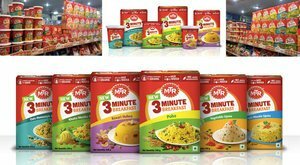 Indian snacks had added to the complexity of portfolio even further. Enhance brand leadership, relevance & distinctiveness. 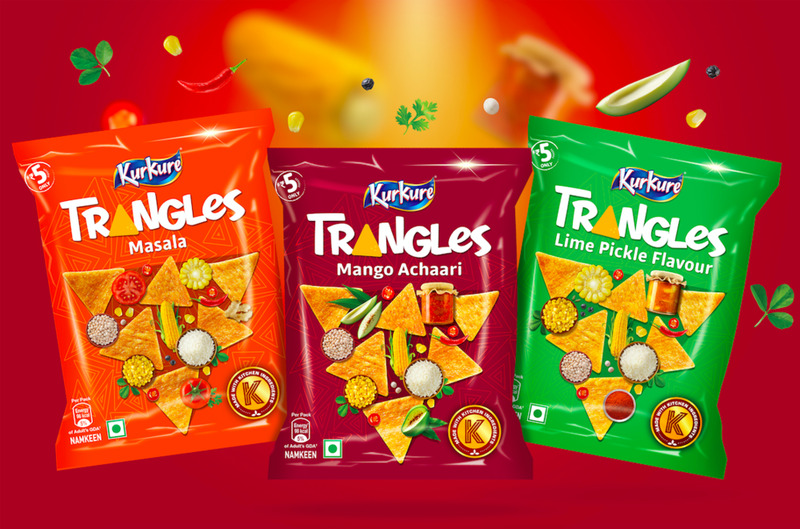 As echoed by consumers everywhere, Kurkure being the brand of abundance, crunch & quirk, design team decided to highlight these three axes on the packs. 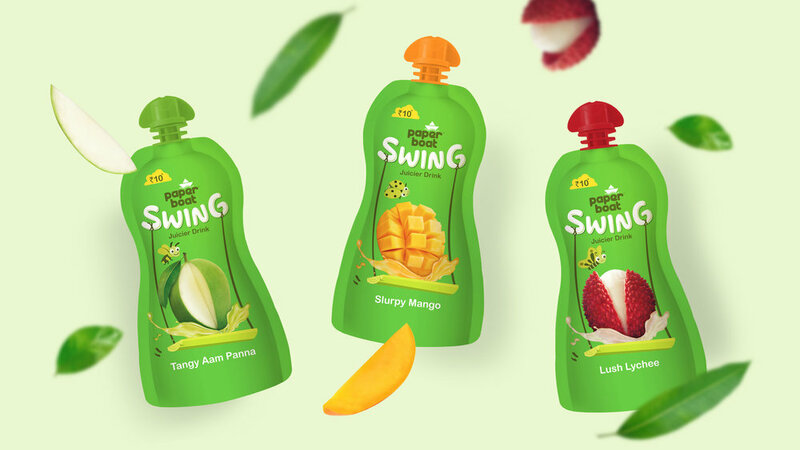 The concept was built around getting the ingredients in focus to enhance taste appeal with a larger than life shape of the product providing backdrop for play between products & ingredients. Every variant is called out in custom designed typography that also makes it ownable. 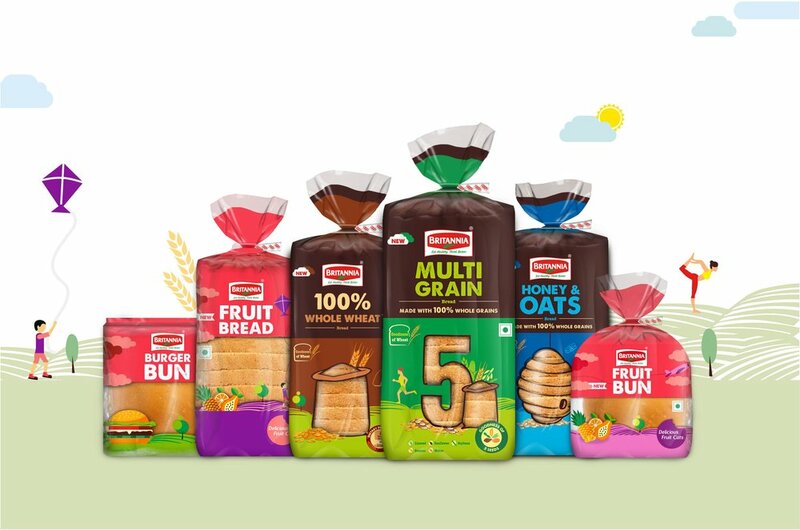 Back of packs are brought to life with custom drawn illustrations of turning mundane encounters into fun moments by sharing the tasty crunchy snack. 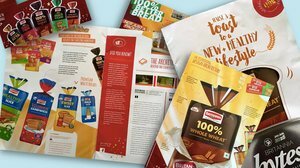 While harmonising the entire portfolio in terms of messaging, tone of voice and visual language the team was successful in creating clear distinction within categories of collets, puffcorns, trangles and Indian savoury snacks; taking the shelf visibility & excitement to next level. Time to grab India’s favourite Masala Munch! Its my first month at Elephant and I’m still finding my way around. As a new face in the crowd, you tend to get swept away. In the midst of trying to find a rooting, I have been amusing myself with the little things at Elephant. The little things are quirky, fun and add an element of happiness to my dullness of solitude while I attempt to make new alliances. On my first day, within the first hour, I am showered with goodies. A well illustrated coffee mug, a t-shirt, and a diary (there are a set of cool stamps which can be used to personalise your diary!). I am also given a little pink diary (yes, pink) which gives me contacts and guidelines that I may need while settling in. It also allows me to set goals to be achieved in the first few months. All this using unique comic-book type illustrations. As I wander around the premises, I notice these little signages which add to my amusement. The conference rooms have names such as ‘Idea Bar’, ‘Think Tank’, and ‘Chat Box’: (REALLY cute displays). While going down the stairs in one of the buildings, the ceiling is a bit low towards the landing and here comes a little sign saying ‘Oops!’. That truly does put a smile on my face. There are coffee and lunch breaks at the ‘Palm Beach Cafe’ and it rightly holds true to its name. It is an open wide space giving you plenty of opportunities to mingle with the rest of the crowd. Even the disposable cups have been personalised by Elephant and have cute illustrations. It is still my first month and as time passes, I am sure to discover more little things at this institute that believes in the power of magic! Lack of consolidated Indian & Asian anthropometric data for limbs, head and other body parts presents unique challenges. How does a design team get around to tackle such a challenge? Understanding of human anthropometry is a crucial part of a design process. This is especially true with products like watches, helmets and new age wearable gadgets. These products behave as an extension to a human body and any use of these products resulting in discomfort would lead to a quick failure of the product itself. Globally, designers & engineers rely on anthropometric data studied and compiled by Henry Dreyfuss Associates2. Dreyfuss’s contribution to the field of human factors is seminal, however data points related to specific ethnicities and for new age applications like wearables3 are not comprehensive & at times non existent. Pioneering anthropometric work by Dr. G G Ray4 & Dr. Deb Kumar Chakravarty5 on Indian population does not cover wearable physiological zones in the published version and that creates a large vacuum when dealing with wearable products. The design team working on one such project at Elephant6, came across this chasm and had to modify its approach during the design phase while working for Singapore based technology firm, SynPhNe7. The design team embarked upon developing a system of wearable devices for stroke rehabilitation that included an arm gear and a head gear to record the muscle & brain response. The challenges were multifold, the devices had to be used by people suffering from partial paralysis with one of the sides of their body non-functional. The device had to fit arm and head sizes, shapes of population from Indian subcontinents, south-east Asia & China. The geometry of Arm and the Head had implications since functioning of the device depended on effective sensor contacts to arm skin and head scalp. Available anthropometric data captures only the dimensions of extremities & body parts, however it was important to study the shapes & specific dimensions of arm and the head to determine the profiles of arm and head gear. Such anthropometric data is not available readily. This momentarily stemmed the development work and subsequently led to carrying out anthropometric study of arm and head of a sample population. In-depth user study revealed certain physical realities about the people who would be using such devices. Women wearing bangles, necklaces and those maintaining plaited hair, tight curly hair and people with baldheads & loose skin, all these added to the complexities. Anthropometric research was planned for a sample population of 50 in India & Singapore each. This sample population included men, women and children above the age of 14. The study included measurements of arm features, circumference at specific points on arm, thumb & palm measurement. Features like circumference, nasion to inion distance, ear-to-ear distance above head were measured for study of the head anthropometry. The anthropometry data was classified based on 95th, 50th & 5th percentile male and female. For effective therapy it was imperative to have accurate locations of sensors for both arm & head gear. Sensor point variations were plotted both for arm & the head based on the profiles derived from this study. This helped the team to design the devices with adequate adjustability built in for the sensors that covered a larger part of the population. Head shape profiles were studied to design the head gear to ensure positive contact of sensors with scalp. Arm gear profiles at elbow, mid and wrist location led to the design of common set of arm straps for 3 sizes of arm gear; small, medium & large. Lack of data led the development team on an anthropometric hunt. A critical realization was the requirement of wearable data and its access while undertaking such development work. The design team acquired body part profiles & surfaces that helped design contact elements & affordances in the product system. This critical metric research led to numerous insights for innovative development work. After 4 stages of prototype testing, clinical trials of the beta version of this product system is underway in the US, India and Singapore. 1. Anthropometry is the scientific study of the measurements and proportions of the human body. 2. Henry Dreyfuss Associates, LLC is one of the oldest & most esteemed industrial design consultancy firms in the United States, known for their work in human Factors and a series of iconic products. 3. Wearables is common reference to wearable technology. 4. Dr. G. G. Ray, Professor, IDC, IIT-Powai, Mumbai & Ramakrishna Bajaj Chair, Honorary Professor, School of Biomedical Engineering, IIT Mumbai. 5. Dr. Deb KumarChakraborty, Professor & Dean, IIT-Guwahati, author of Indian Anthropometric Dimensions For Ergonomic Design Practice. 6. Elephant, is a design consulting practice operating in India & Singapore. ANAND PALSODKAR is a mechanical engineer & post graduate Industrial Designer, Design Director, Product Innovation at Elephant. A post grad alumnus of IIT-Powai, Industrial Design Center, Mumbai, he leads the product development vertical. He has worked on several design programs, notably CEAT Tyres, Nirlep Appliances, Thermax Ltd., Symphony Coolers, Paperboat and works on medical & healthcare devices amongst others. How does one pay tribute to a man who is an institution? A space experience designed to inspire people with thoughts & legacy of a life devoted to leadership, development & giving. Dr. K Anji Reddy had a dream, to make bulk drugs available & affordable to common people. With zeal and an inspiring life journey, he made the impossible a reality. A shade of his dream, enterprise and dedication is presented at the 1.2 acre site located in Miyapur, Hyderabad, Telangana, India. The site is a subtle weave between the location, the architecture, landscape and the story of Dr. K Anji Reddy. Conceived to celebrate his life, the memorial architecture is the work of Mindspace, Ar. Sanjay Moghe and the experience layer has been created by Elephant Design. Architecture is a non-building, nestled within the natural surrounds, preserving the serene atmosphere. At Elephant, the design team had a challenge to build a layer of tangible experience in the memorial over the architect’s cognitive approach toward the design of the space. The story of Dr. K Anji Reddy unfolds through distinct vistas and journey paths within the space. It begins at an inspirational level as the story unfolds in layers over the chiseled Mont Blanc stone used at the memorial, leads down a path of enlightenment & discovery, unfolds as an entrepreneurial journey inside a series of pavilions and settles reflecting over a linear water body ending as a meditative Samadhi. Touch points were woven through the space keeping visitor journey in mind. There is always a take away whether it was a 1st time or a regular visitor. This layer brings about the strength of character and the calm through inspiring quotes and text chiseled into stone-clad spatial dividers. These inscriptions tell the story and bring forth very subtly those words of wisdom that drive the spirit of human achievement through Dr. K Anji Reddy’s mind. The font chosen for the inscriptions is Gotham, which is a rare san-serif font that is new & assertive and yet feels familiar & non-imposing. It is geometric, but also friendly. It has just the right quality of timelessness we were looking for in weaving the memorial story. Constantia is a transitional serif font with less contrast between thick & thin, making it ideal for readability in various light conditions as the installations; panels & wall engravings were open to direct natural light in the day. Together, these two fonts made for a classic combination. Unfolding inside a series of 6 pavilions, this layer tells the story from the beginning of Dr. K Anji Reddy’s life and travels through space over several key milestones. The story is told as a series of flowing panels, maintaining a serene tone. A motorcycle display marking the humble beginning of Dr. K Anji Reddy’s struggle, his favorite car and his workspace towards the end of the path reflects his quest for achieving the higher. This layer forms the key experience and allows the visitor to reflect upon a series of inspirations and the philanthropic vision of Dr. Anji Reddy. The flow encourages visitors to walk down this path through a colonnade of trees, sit on a bench and reflect. The benches are designed using hardwood and casted architectural concrete and that would age well & blend with the natural surroundings. Dr. Kallam Anji Reddy memorial has seen a steady stream of visitors since it’s opening in 2016 and continues to inspire young minds in the spirit of giving, every day and design continues to highlight the relevance & meaning of his work. ASHISH DESHPANDE is an Industrial Designer, Co-founder & Director at Elephant. An alumnus of National Institute of Design, Ahmedabad, he is a keen Design Thinker, a member of India Design Council & Jury for India Design Mark. He has worked on several design programs, notably, Titan Eye+, Ceat Tyres, Axis Bank, ICICI Bank, Symphony, Paperboat and works on medical & healthcare devices amongst others. Biggest challenge facing businesses fighting in red ocean zone is ability to effectively differentiate. How does design help deliver business advantage? The air cooler market in India is estimated above Rs.3000 Cr and 70% of this is the unorganized sector. Soaring summer temperatures, longer summer months, rising aspirations of the Indian middle class & accessibility to global markets have made every appliance manufacturer turnout products, to take a share out of the air cooler pie. Evaporative cooler technology, over years, has improved incrementally and relaxed Intellectual Property compliances makes it hard to place Air Cooler products that are differentiated from the me too & rip offs flooding the consumer space. In this context, how does an appliance manufacturer stay above the waterline? What role does design play in helping companies take a hard look at their product line up? An interesting case of design at work asElephant teams with Symphony Limited, world’s no.1 cooling company. Many cooler manufacturers believe that providing a host of incremental benefits is a way to the customer’s heart. Little more pad area, a few cubic feet of more air throw, a liter more of tank capacity is no better than running a race at the discount store. Differentiation begins with empathy-based observations of what people do when they buy your products. Design team at Elephant spend hours observing people in their homes, looking at their habits and noticing their real time concerns. During one such visit, the design team observed that coolers were always being shunted to balconies, lofts or were pushed under wall units. People need space, and when they don’t need a product, they try and get it out of their way. Coolers not only consume precious floor space but also block airy windows in case of window mounted versions. Air Coolers inherently carry volume and are bulky. Instead of focusing on increasing air throw or the next best remote control, the design team focused on “reclaiming space” for customers. Pictures taken by Elephant Team during actual home visits showing Air Coolers stowed away. Once a challenge is identified, it ends up providing the design team with a sense of direction. However, challenges are not easy mountains. The design team at Elephant & Symphony set themselves a couple of goals. First was to design a full size cooler that fits on a footprint of 1’ x 1’ tile. This was not as easy as it probably reads, since the entire air throw mechanism was to be reconfigured and reengineered to fit into a compact, yet, tall space. This itself was not enough since the product was to deliver a better cooling performance and air throw than conventional models. Second was to free the window. Windows are a relief in urban apartment environments and the design team set itself the second challenge to create a product that doesn’t need window mounting. The product could be mounted high on the wall like a split AC. Again, this was easier said than done. The design team had to solve the problem of water tank, water filling and cooling. When design team under takes new direction or challenge, they come across unknown obstacles. Some of them are known spoilers like weight of the product, cost of parts, number of parts, assembly, quality of manufacture and size for shipping. All these obstacles need to be sorted out from the regular functional issues before a cooler can be realized. As a new format of product that is deviant from the traditional, it is imperative that the product carries no bugs. The development work resulted in two product formats. First, was the creation of the ultra compact and tall range of next generation cooler range “DiET”. This product connected with people due to its floor saving footprint, low power & water consumption and was an instant hit. DiET today retails across 40 countries with over 1.2 million units sold. This product for its design & innovation quality was awarded the “India Design Mark 2013”. DiEt cooler with ultra compact foot print, tall delivery and “intelligent” controls. Second, resulted in the creation of world’s first wall mounted air cooler, “Cloud”. A cooler that has completely freed window and floor space for people for whom space is luxury. 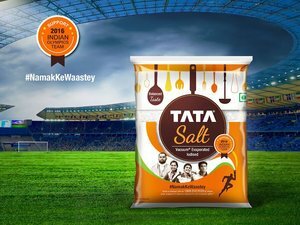 This product for its design differentiation and innovativeness has been recently awarded the India Design Mark, 2016. Cloud Cooler, mounted on wall. This freed floor space and windows. When development effort focuses on people, appreciates and acts on unsaid needs, product innovation can take place. The two efforts for Symphony are good examples of moving from a crowded orbit to an elevated plane. This orbit shift is what creates powerful brands, those that rise above the red ocean and make business sense. Design led Innovation is a powerful tool however needs the courage from corporations and a resolute design team to undertake lofty challenges. Challenges that are not a figment of someone’s imagination or sales target but rather drawn from the latent needs of people. All successful product categories get crowded, what matters in time is agile & continuous people based design & innovation effort. ASHISH DESHPANDE is an Industrial Designer, Co-founder & Director at Elephant. An alumnus of National Institute of Design, Ahmedabad, he is a keen Design Thinker, a past member of India Design Council & President of Association of Designers of India. He has mentored several start ups, conducts Design led Innovation workshops and has worked on several design programs, notably, Titan Eye+, Ceat Tyres, Axis Bank, ICICI Bank, Symphony, Paperboat and works on medical & healthcare devices amongst others. In the highly dynamic world, Relaxo is one brand that has made steady inroads into the world of emerging India. Whether it is through basic flip-flops that they pioneered in India or the active & young brands like Sparx & Bahamas, Relaxo has led the way for about 40 years. To align with the evolving consumer & state-of-the-art offerings, Relaxo has unveiled its rebranding. Ashwini Deshpande, co-founder & director of Elephant, the rebranding agency says “Relaxo rebranding exercise involved validation of current values of being reliable & approachable while seeking newer dimensions to reiterate the brand’s leadership. In keeping with the evolving consumers & new-age products, we have built the new Relaxo visual identity with a wave of positive transformation. Brand’s dynamism is embodied by forward slanting letters in Berry Blue with Sunny Yellow swoosh flowing across. The swoosh stands for wave of transformation, optimism and positive growth. All brand applications are being created with an ownable visual language and will be evident in the coming weeks across products, print, retail & online presence"
"The new Relaxo visual identity signifies effortless movement towards progress. ” added Mr Dua. First #MondayMorningMeeting at the reclaimed #PalmBeach opened with the very inspiring presentation by our super designer #PriyankaKaryekar who walked away with the cool #taximeter trophy at #taxifabric#TFWorkshop with her Disco Driver theme. It was a day in 2007 when we were discussing nutrition and realised how most of us had too little time, knowledge or focus on what we eat. so we decided to improve at least one day of the month by making it a "Fruit Day". Now in its tenth year, this day is celebrated on 10th of every month! This takes planning, passion & execution. Thanks to our support team of Dhanashree Joshi Jayashree Babar #Amit #Yogesh #Sunil we enjoy a different fruit every month. And the award for "Partner Of The Month" goes to .... for featuring us in Britannia's in-house magazine. Using design, adding enriching experience and communicating the delight. Check out our latest intervention with finger licking food Start Up ! yes. we are excited to work with start-ups. especially if they happen to be a crack team of marketing consultants we enjoy working with! Here's to every success... from Team Elephant to Team FINGER LIX!